Bryan has been in love with reptiles since age 7. As a child, he would go out and search for snakes, frogs, toads, etc. Since he began breeding reptiles, he has successfully bred many species of non-venomous snakes and a few different types of lizards as well. His favorite accomplishment was successfully breeding and hatching his first Gila monsters! In 2004, he decided to dive into the world of ball pythons. He made a tough decision to trade his custom chopper that he had invested over a year of his life perfecting for a pair or RDR Lesser Platinums (2nd generation off "Platty Daddy") to jump start his new hobby. Since then, he has been collecting and producing as many new morphs as possible! He just recently acquired a Toffee ball python and plans to create many new combo morphs with it. He believes that his success with ball pythons is based on hard work, determination, and honesty. 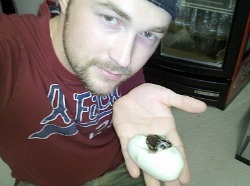 Matt has been keeping and breeding reptiles for over a decade. He started out with leopard geckos, moved up to bearded dragons, then finally to ball pythons. After taking a break from the hobby for a few years, he began a small ball python collection in 2007. He only had 1 clutch laid his first season, but is expecting about 15-20 for this season. He has designed and built everything in his snake room, including the racks, incubator, and even the room itself! Hopefully he will be one of the "big breeders" someday, but for now it's just a great hobby! 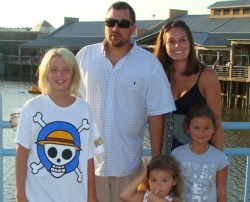 Brad is the person that set up the site initially and will be doing most of the updates given to him by the breeders. While not involved directly with the breeding or care for the KillerPets.com ball pythons he is an avid enthusiast of exotic animals and pets in general and currently keeps a bearded dragon, leopard gecko, fire skink and a few amazon milk frogs and is an active supporter of the humane society of Pennsylvania.